Now you can outsource the processing of your invoices and statements to Commander Printed Products. Eliminate your staffing and equipment headaches — let us print, fold, sort and mail your bills. 1. Save employees’ time. During most company’s billing process, much of your employees’ time is spent printing, folding, inserting, sorting, handling, metering, and mailing your billing forms. Then, when that’s all done, they still have to sort and file away the extra copies for your records. With outsourcing, most of these duties are eliminated so your valuable personnel will be free to do more important, customer oriented duties. 3. Increase cash flow. We’ll get your bills in the mail days faster, since we bypass regular sorting at the post office. Not only is your mail often delivered two to three days sooner, your remittance envelope is also postnet bar coded so it comes back to you quicker. 4. Save time on remittance processing. We can add barcodes to your bills so you can automate your in-house remittance procedure, or we can add an OCR typeface to your bill so you can utilize a lockbox service through your bank (at local or multiple locations nationwide) for same day payment processing and deposit of checks. 5. Save on freight. If you are like most companies your invoices, statements, and envelopes are printed and shipped to you, and then billed in full, plus the freight cost. But with outsourcing, your forms and stock envelopes are manufactured at the same site as the mailing house. So there is no freight. You will easily save hundreds of dollars per year, plus we bill for forms and envelopes only as they’re used, not in advance (making it easier on your cash flow). 6. Save on warehousing space. Most likely you’re ordering invoices and/or statements, plus #10 enve-lopes and #9 reply envelopes. How are these items stored and then transported to your processing area? With our service, all printed items will be stored off-site at our processing facility, freeing up your space and saving you time. 7. Save on capital expenses. There’s no longer a need to purchase or lease special mail processing equipment or software. Now you can finally get away from those costly long-term equipment leases and service agreements. B. Should Your Company Consider Outsourcing? Is your office staff taken away from their regular duties and responsibilities to help get the bills out? Do you rely on one person to process any critical step of your billing? If so, what happens to your mailing deadline when that person is sick or out of town? Is your company efficient at performing this task? Is your mail processing equipment slow and inefficient? Are you unable to image postnet barcodes on envelopes that will save you postage? Is your equipment a constant hassle to set-up and operate? Though new technology is constantly striving to make our lives easier, keeping up with the latest processing equipment and software is both expensive and time consuming. The drain on office personnel, as well as the financial investment required to stay current, makes outsourcing of billing an attractive option for companies that prefer to stick to the business they know. Outsourcing with Commander, however, requires little investment on your part. There is the set-up cost for the initial programming of your application, and the cost of printing new laser cut sheet bills (which are billed only as used). On our end, we take care of all postal/processing software and equipment required — now, and in the future — so you don’t have to buy it, lease it, maintain it, staff it, or dedicate office space for it. It is every company’s mission to draw customers, satisfy these customers, and offer them additional services and products. But, it is equally important to retain these customers and ensure long term profits for your company. Sometimes it’s the simple things that can upset customers and cause them to become dissatisfied. One common complaint is about the confusing, hard-to-read bills and notices they receive. Frustration increases when a consumer has to call in with a simple question, only to get lost in a company’s “voice mail jail” or to be put on endless hold. Commander can help improve your customer service by sending a bill to your customer that is more concise, clear, and user friendly. On many billing documents, the use of highlight typefaces to call attention to a few key words can make a major difference in the comprehension and timeliness of client response. By highlighting the phrases, “If you agree, don’t do anything,” “return the original,” and “send by,” you can substantially reduce your incoming phone calls for repetitive billing questions, while eliminating customer errors and late payments. As an example, when a water company highlighted information on their statements, service calls from confused customers were significantly reduced and payments were speeded up — on average, their bills are now paid two days sooner. In addition, increased response to the initial billing resulted in a dramatic decrease in the number of past due reminders they had to mail out saving additional postage expense. You can use the typefaces shown above to highlight important information, such as balance information on monthly statements, notices to which you need a response, and messages that need to be clearly understood. For no additional cost, you can improve your customer service by enhancing customer understanding and clarifying important notices. We can selectively insert your marketing and product information into your outgoing bills, usually with no additional postage. Take advantage of this capability to promote your company by transforming your billing into the ultimate marketing tool! Marketing communication will reach your customer every billing cycle. Readership and responses are higher than unsolicited mail. You can enhance corporate image and brand identity by inserting newsletters and press releases. You can insert new product or service announcements in all your mailings for about 1¢ each. With intelligent insertion, you can promote or test new services and products to all customers, or a select list grouped by sales volume, region, customer type, or other demographics. “We only want this marketing brochure to be inserted if the mail piece stays under an ounce, if it goes over an ounce, leave it out.” Yes! “Is there a way to not insert a return envelope if a statement shows a “0” or credit balance?” Yes! “Can you insert a special “Thank You” note or include a special offer to only our top 200 accounts?” Yes! Documents and the information they contain are directly linked to the ultimate success of any business. However, the amount of time it takes to access that information can create a real bottleneck. Did you know that over 40% of an average office worker’s time is spent exchanging, sorting, finding, filing and otherwise managing documents? 1. We can print and pre-sort your billing file copies. Your file copies will arrive pre-cut and ready-to-file so your office personnel will save hours of time — no more bursting, decollating, sorting, or copying. Your filing will be done quicker and with higher accuracy. The need for hard copy filing is eliminated. Internal and off-site records warehousing costs are reduced by storing your data electronically. One CD-ROM on a PC-based network can be accessed by multiple customer service personnel without ever leaving their chairs. If a customer requires a duplicate hard copy, it’s as easy as pressing the printer, fax or e-mail buttons on the customer service personnel’s computer. The electronic archive works on any Windows based system. The archive file will display the information on the screen in the exact same format as it was mailed, along with all graphics. If desired, archiving of mailed pieces is also offered via electronic down-load. Both sides can be printed (Duplex) to save paper and postage. We can pre-perf stock to make return payment slips, subscription renewal forms, and discount coupons. 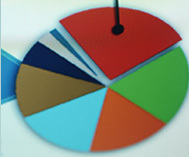 We can also utilize up to four paper trays to mix different types or colors of paper stock during the run. Did you know that you can sell advertising “space” in your billing envelopes to help offset your overhead? Now you can do what most oil companies and credit card companies have been doing for years — they charge other companies for the privilege to insert their advertising piece into the billing envelope. It only costs you $10.00 more per 1,000 to add an extra insert, yet you can “resell” that service for $20.00–40.00 per 1,000! Plus, there’s no additional postage cost to you. Think about it. What would some of your suppliers or vendors pay to have only their advertising piece sent directly to the home or businesses of your client base? As an example, if you were a hospital, would a pharmaceutical company be interested in putting their flyer with discount coupons for an over-the-counter pain reliever in the hands of the hospital’s 3,000 monthly patients? Or, if you were a hotel in a remote resort area, would one of the two competing airport shuttle services like to enclose their discount flyer in the confirmation notice being mailed to your soon-to-be-arriving hotel guests? Use your imagination (and your vendor list) to come up with more revenue generating ideas like these.